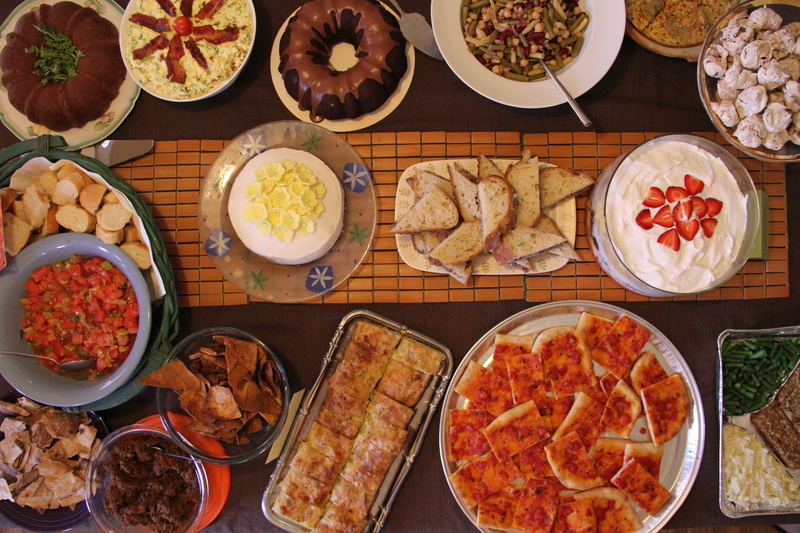 This Sunday was the monthly meeting of FBLA (Food Bloggers of Los Angeles). Mz. Riz and I had the lovely distinction of being the hosts for the event. The theme was our mother’s food. Dorothy of Shockinglydelicious came up with the idea. It was great to see familiar faces that I’ve seen at so many of these events. Chef Debi, Geez Louise, Andrew from Eating Rules. 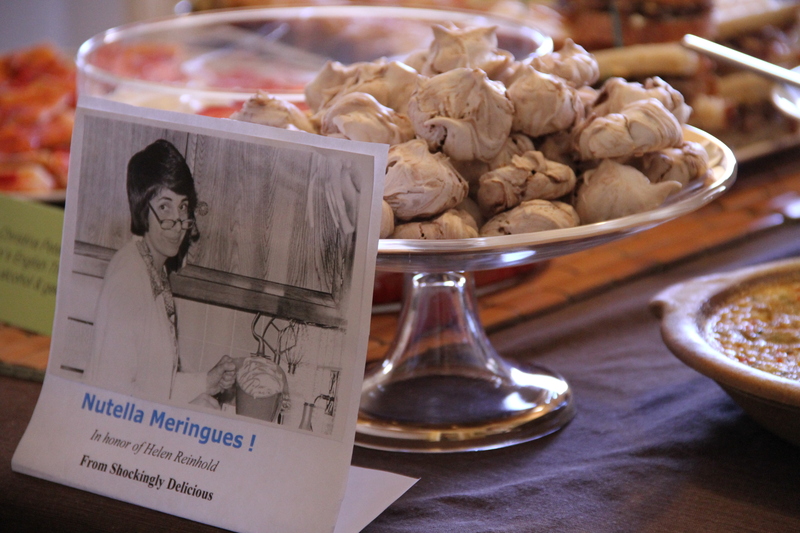 I have to say that Dorothy’s nutella meringues were a hit plus I love the picture of her mom. 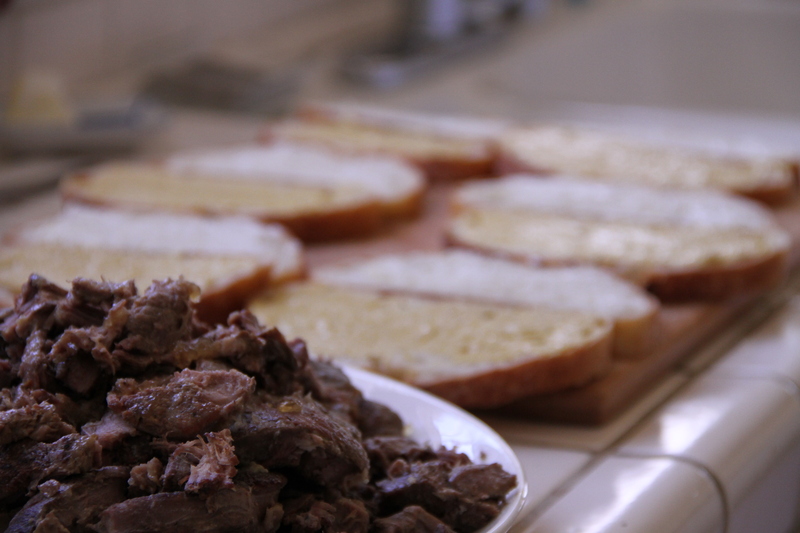 I recreated my very favorite beef shank sandwiches which my mom made in the winter. As soon as I came home from school and smelled the rich aroma drifting from the kitchen I knew exactly what she was cooking. 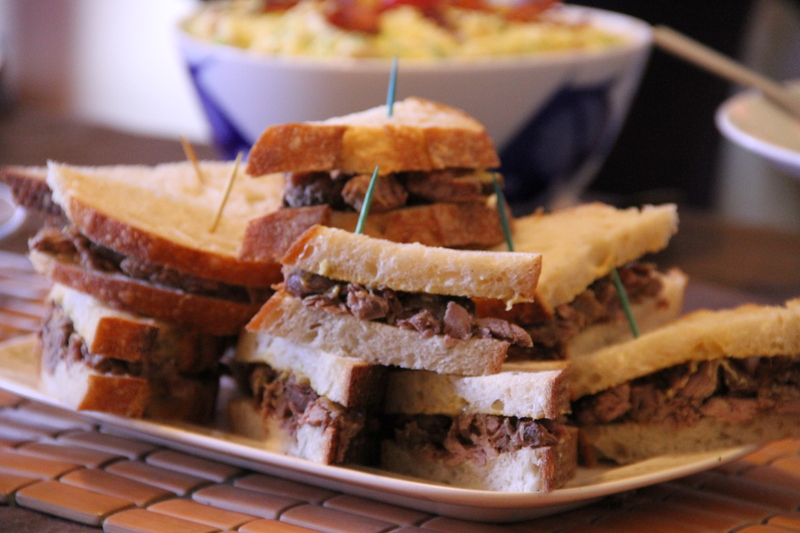 My mom used to braise the shanks in a dense beef broth and then add barley so that we had a warming barley soup AND the tenderest, most delicious, soul warming sandwiches that chased away the winter chill. As I bit into the sandwich a warm hug embraced me. Heat braising pot to high. Brown shank pieces on both sides (2-3 minutes on each side). You might have to do in a few batches. Add water to the pot to deglaze. Use a whisk and get all that caramelized goodness off the bottom of the pan. Line the bottom of the pot with some of the shanks. Place half garlic and half of the sliced onions on top. Place the rest of the shanks on top of the onion and garlic. Simmer on top of the stove for 3-5 hours. Get some really good bread and slice it. ummm wish I was there. it looks so cozy. You will be this summer. 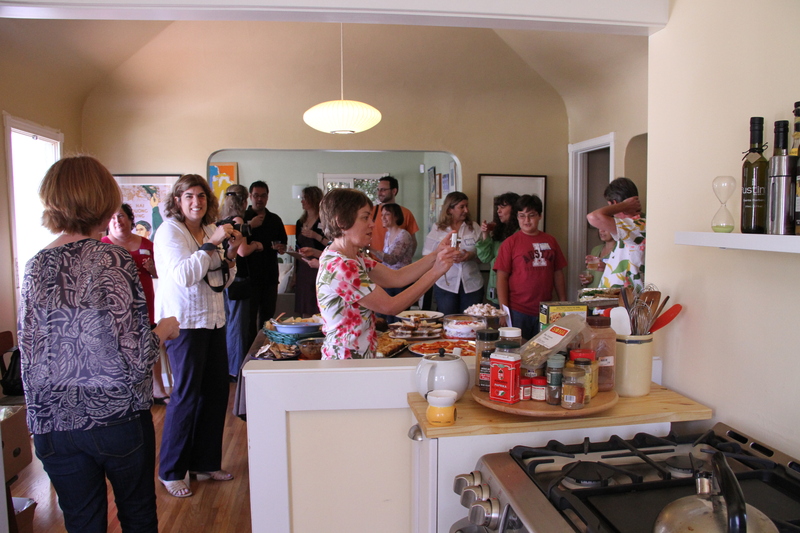 Thank you for hosting a wonderful party, and for appreciating the vintage ’70s photo of my mom in her avocado green kitchen!